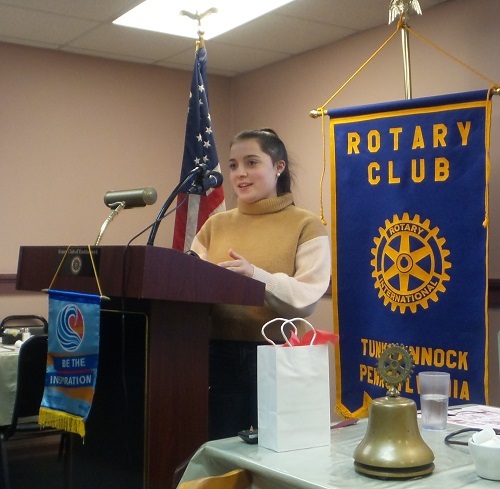 At the Jan 10 Tunkhannock Rotary Luncheon, our guest speaker was Elizabeth DeMarco, who spoke about her 3 week short-term exchange to Ecuador. Elizabeth had the opportunity to visit the equator, Quito, the Galapagos Islands, a volcano, as well as, try some interesting new foods. By the end of her stay, she said she learned to appreciate the differences between life in the US and Ecuador. This was Elizabeth's first trip outside the US.